It's really happening. Today my very first sewing pattern is released. The Cocoon Dress. At first it will only be available through the Sew What Club - so hurry over and sign up for a membership if you haven't already. You can read my introduction to the club right here. The Cocoon Dress. If you have followed my blog or my Instagram profile for a while you've probably seen this type of dress before as I made the first version more than a year ago. Now the pattern has been graded, tested and tweaked and is ready to be launched. Yay!!!! The pattern will be available in the sizes 2-12 and is designed for knit fabrics. 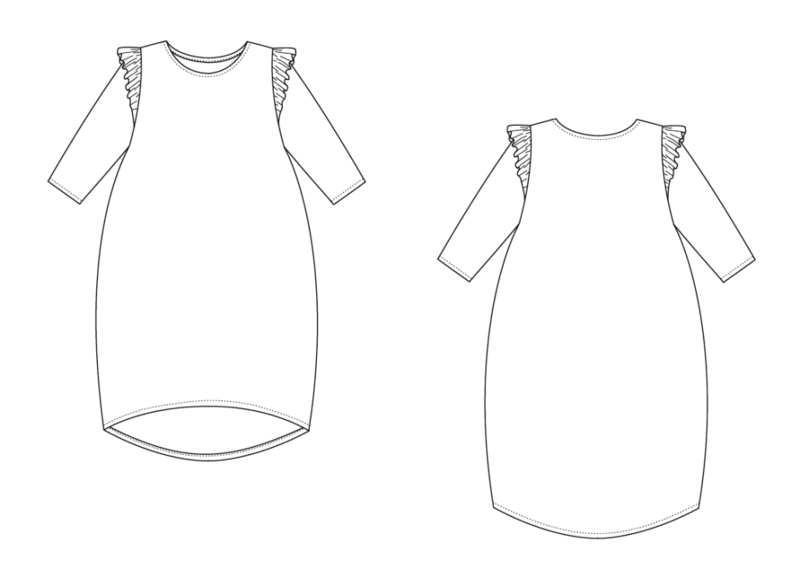 Without further ado I present to you the Cocoon Dress (Pattern). Wilma is wearing a size 9. Fabric from Stofdepotet - sold out I'm afraid. Look at that adorable little one - aw. I love this dress so much! Can't wait to get the pattern. Oh, it's gorgeous! I'd love one for myself... Congrats, Trine! The pattern is amazing! 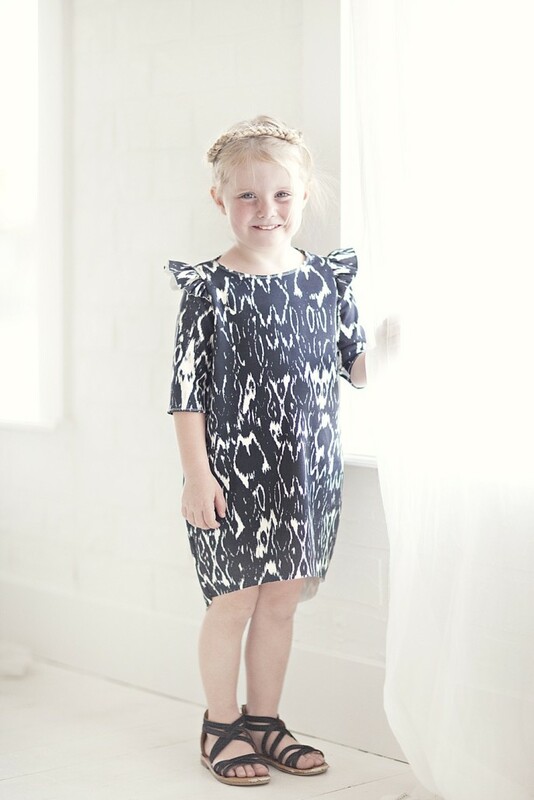 Just what I have been looking for for my little girl for the pattern of the season! Do I understand correctly: if I want the pattern, I can sign up for October, and get it? This pattern truly is design perfection! I have already received emails from members begging me to get you to design another. Girl you just need to straight up have a line of clothing! Thank you so so much for letting me be part of it! congrats! this is so exciting and the dress is awesome. Gah, it's perfect Trine! Such an interesting design but looks super comfy and easy to wear for a little gal too, which is key. I love that hemline so much! Congratulations!! Is there another way to buy the pattern than to subscribe to the sew what club? Or are there any future plans to sell the pattern? I need this dress in adult! Is this available to buy somewhere other than signing up for the club yet?